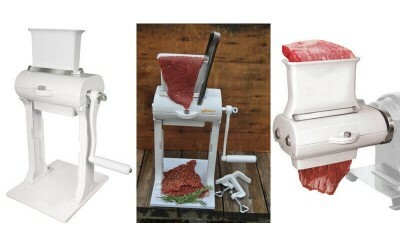 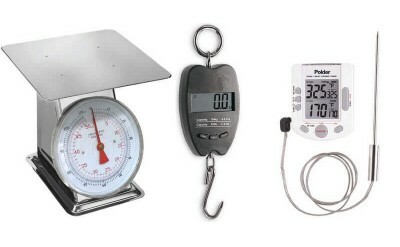 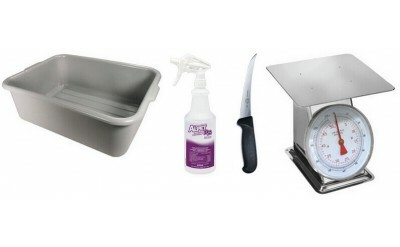 Meat Preparation Tools to help make meat processing easier at home. 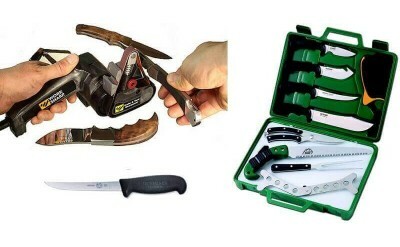 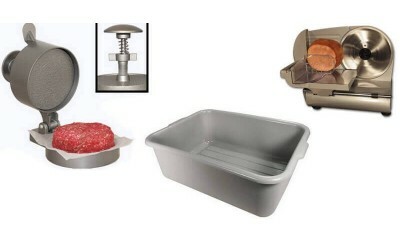 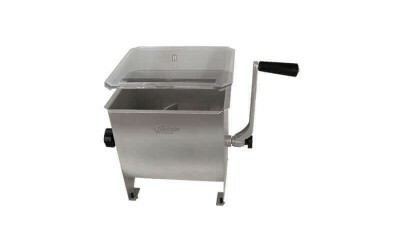 Meat Preparation Tools are anything from Meat Mixer, Knives, Meat Lugs, Scales to Cleaners, basically anything that will help you make your meat processing job easier. 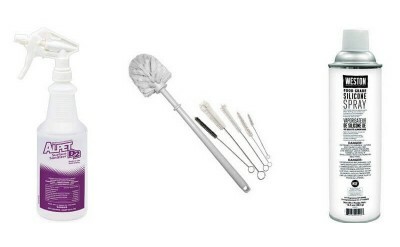 Alpet Surface Sanitizer in 1 quart bottle is perfect for sanitizing after any kind of meat processing equipment to your counter-top at home.